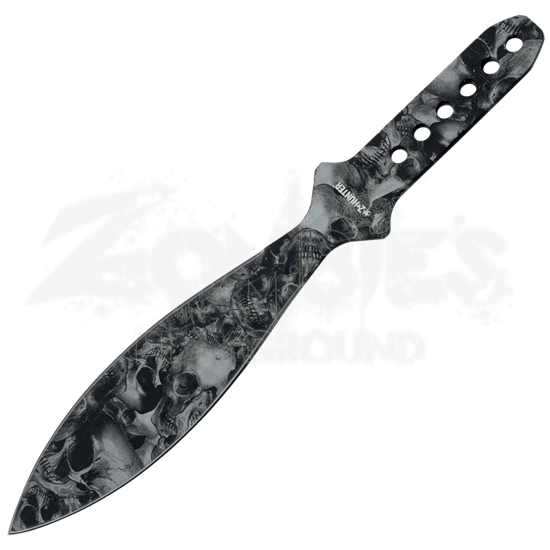 For long distance zombie kills, there is no better knife than the Grey Leaf Blade Throwing Knife. Made of stainless steel, the heavier leaf blade gives wider penetration and better spin so the blade is more likely to hit the target. In a zombie future, that is always a good thing. 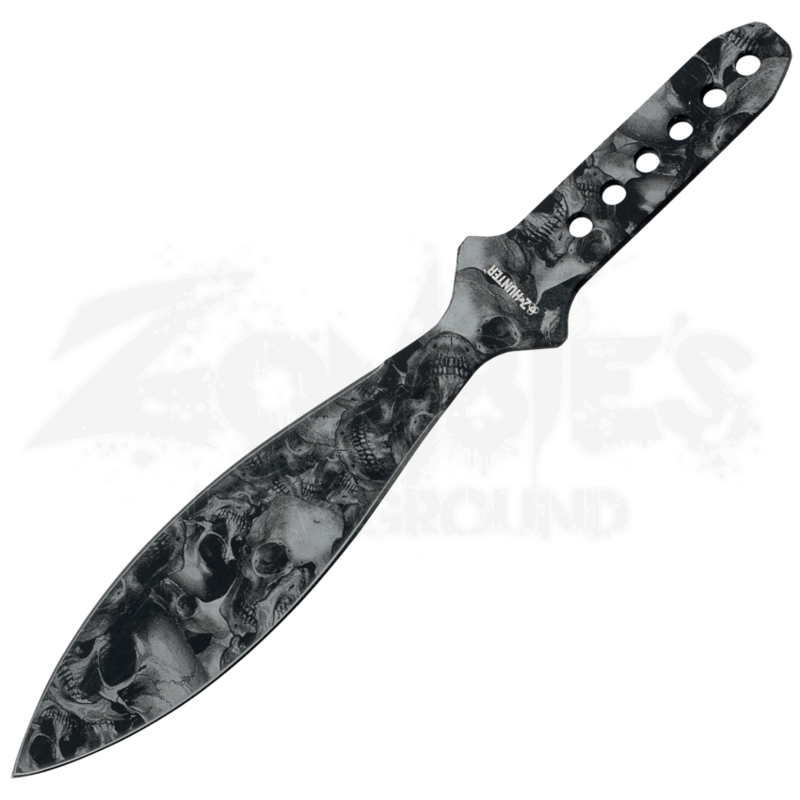 With the skull camo design, this blade looks striking. It comes with a nylon sheath, as well, so it will always be at your side without poking you. Practice with the Grey Leaf Blade Throwing Knife because you never know what will happen tomorrow.